Martial Arts, for everyone, children & adults, male & female. 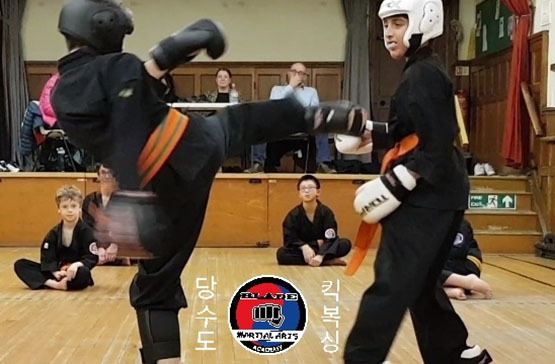 A fusion of Japanese & Korean Martial systems, combining the traditional sides of Karate and other arts along with the mainstream Kickboxing. 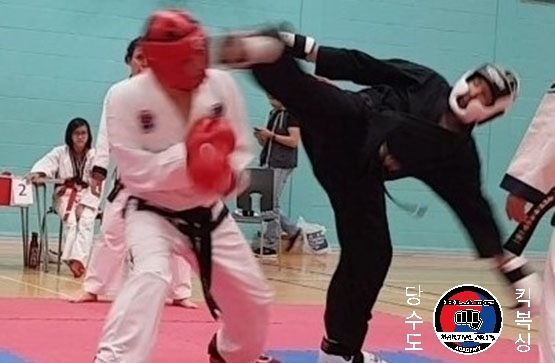 Aspects cover from basic techniques, application, through to self defense and also sport competition. Classes held at the Robert Craven Hall in Bramhope, Leeds. Every Wednesday at 18:00 hrs & Thursday at 17:30 hrs. Classes consist of mobility and warm up before getting down to basics, applications, moving on to pad work and free movement. Each class develops a strong foundation and throughout the class build on those foundations & technique. This class will be launched on Wednesday February 13th, 2019. This class is for children aged 4- 6 years, where they will learn Karate techniques, and the values of life skills from Concentration & Focus to Self-Control and Discipline. Classes are for 30 minutes From 1730hrs - 1800hrs on Wednesday and 1700hrs - 1730hrs on Thursday. "Great fun for everyone and discipline for kids"
"I think it's great exercise, something totally different to the typical gym workouts, and teaches great skills that one day you may need." "Love every minute of the classes so far; Sensei Chris is a brilliant instructor knowledgeable and friendly. Looking forwards to seeing where my Karate adventure is going to go." "My son & I started training here 16 months ago, and are very happy with what the Academy has to offer. Students of all ages are well equipped with the learning tools needed to work through their rankings, and enjoy working at their own pace. Through recognition and constructive feedback, the Academy also promotes self-esteem & enables students to push through personal & physical barriers. Thank you for providing us with such a great environment to learn & grow as a family." 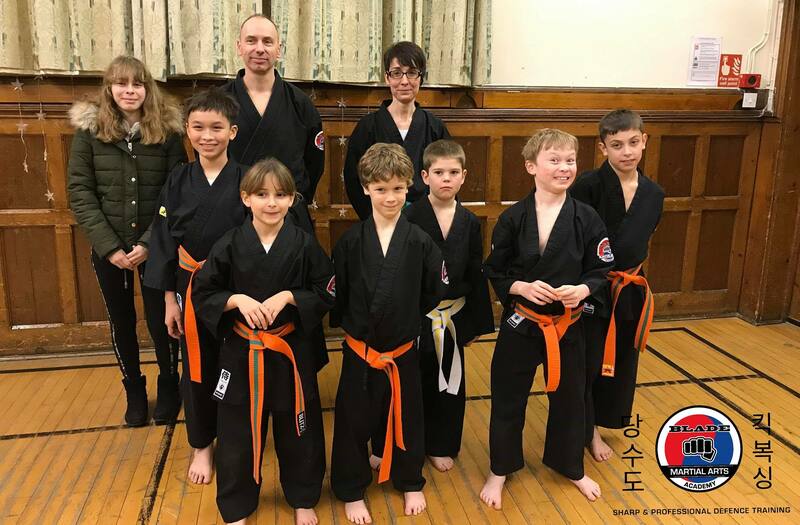 Welcome to Blade Martial Arts Academy, a friendly atmosphere that caters for family martial arts in a great venue with free parking & wi-fi. If you are looking to learn new skills, have fun and even gain a full body workout, here at the Academy will help you develop your body into the functional, strong physiological unit, it was designed to be.